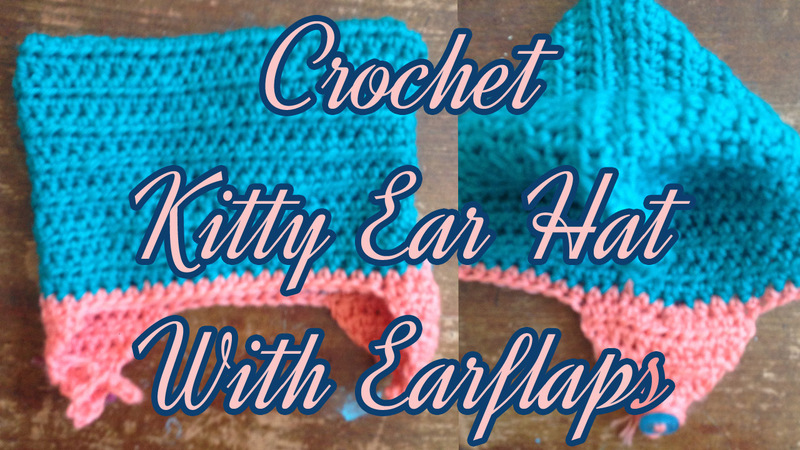 Make a cute kitty hat for your baby! 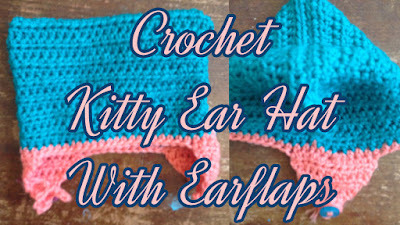 This free crochet pattern has both a 0-3 month size and a 3-6 month size! Chain 51. Use the 4.0mm hook if making the 0-3 month size and the 4.5mm hook if making the 3-6 month size. 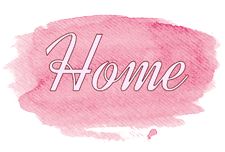 R1: Skip the first ch, and hdc into the second ch and every ch down the row (50 sts) At the end of row one, measure your fabric. It should be 13-14 inches wide for the 0-3 month size and 15-16 wide inches for the 3-6 month size. If it's not, go up or down a hook size to meet gauge. R2: ch 1, and turn. 50 hdc. Repeat row two until your hat measures 4.5 inches long for the 0-3 month size and 5 inches long for the 3-6 month size. 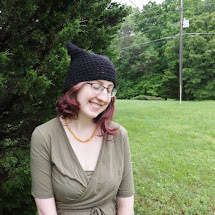 Now using the end of the yarn sew up two sizes to create a hat. Ears: Grab your stitch markers. (see video if confused for visual example) Lay hat flat so each ear is at a corner, and count four stitches from the left side. Place a stitch marker on this 4th stitch. Counting from the st next to the one you just placed the stitch marker on, count 19 stitches to the right. Place a st marker on this 19th stitch. Now turn hat over, and count 12 stitches from each stitch marker, using the previous st marker as stitch 1, and place st markers on that 12th stitch. So you should have a hat with 10 stitches between each marker--12 stitches if you could the stitches the marker is actually on. These 12 stitches on each side will make the ears. (first ear only) Ch 1 and cut yarn. Now, hdc all the way around using your second color. Add a button and make a slip knot with your chain to attach! Like all my tutorials for babies, do not leave on baby unattended, as hat could get in the way of breathing. Happy Crocheting! View this pattern on Ravelry here!